Join us for our Fall Kick-Off Event! Please come enjoy a delicious dinner and an evening of networking with your sisters new and returning. Bring your business cards, make some new friends, and come find out about all the activities we have lined up this Fall! Questions? Contact Wendy Stockard for more information. 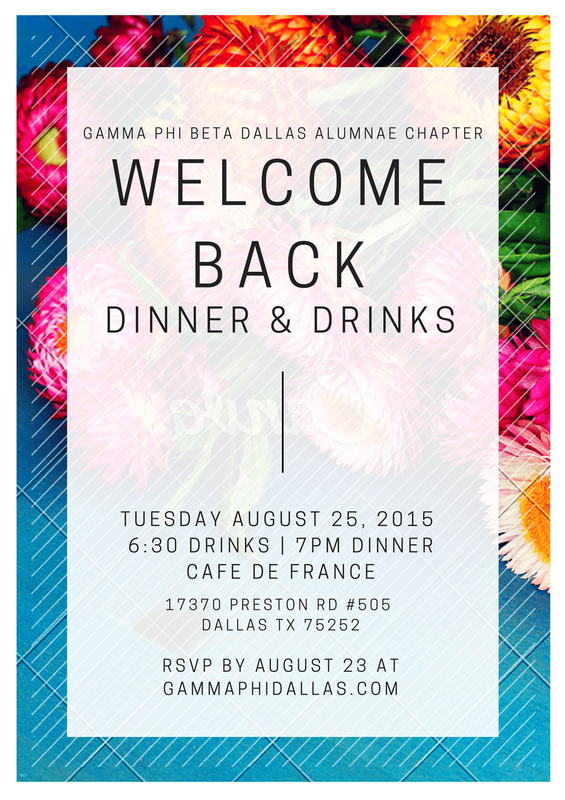 RSVP for Welcome Back Dinner & Drinks! Please RSVP and make payment below by Sunday, August 23rd for restaurant seating. Make Payment for Welcome Back Dinner & Drinks!